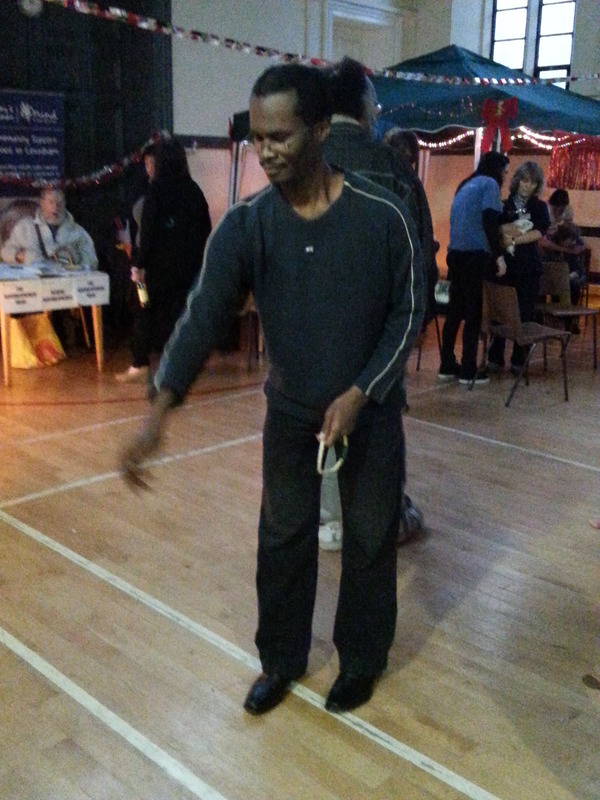 Welcome to another blog by Matthew Mckenzie a carer from the London Borough of Lewisham. Its Xmas as of this blog post and there are many activities and parties going on. 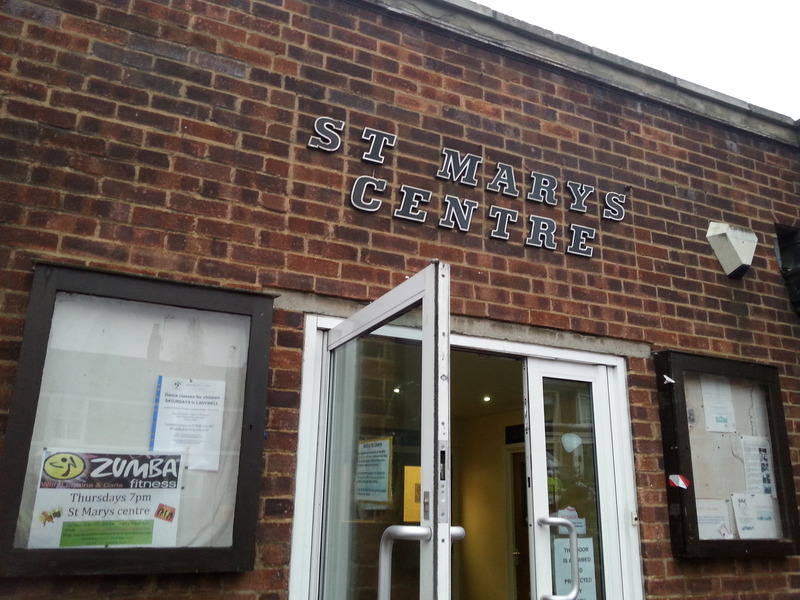 I have been to quite a few celebrations myself, but on the 18th of December 2014, I was looking forward to attending the Lewisham Mental Health Connection Xmas party, which was held over at St Mary’s Center over in Lewisham. However what is the Lewisham Mental Health Connection or LMHC? Basically the LMHC are a group of people working in the voluntary sector who are committed to improving mental health in Lewisham. This is especially with the voices of those using the services and those who have important roles dealing with mental health. Quo Vadis Trust, Equinox Lewisham, Healthwatch Lewisham, Bromley & Lewisham Mind, Family Action, Hexagon Housing, Animals for Therapy, Network Arts Lewisham, Voluntary Action Lewisham, Community Connections, This Way Up WellBeing, Volunteer Centre Lewisham, Lewisham Samaritans, Lewisham Parish, Sydenham Garden, Penrose and the Mental Health Providers’ Forum and myself. So what happened on the day? Well as I arrived at St Mary’s Hall, I could tell I was at the correct place because I could hear lively music coming from inside the hall. I managed to catch Charlotte Tarrant the Marketing Manager for Equinox, which provides support, care and recovery to people who are challenged by exclusion, marginalisation and a range of needs for special assistance such as mental health problems. 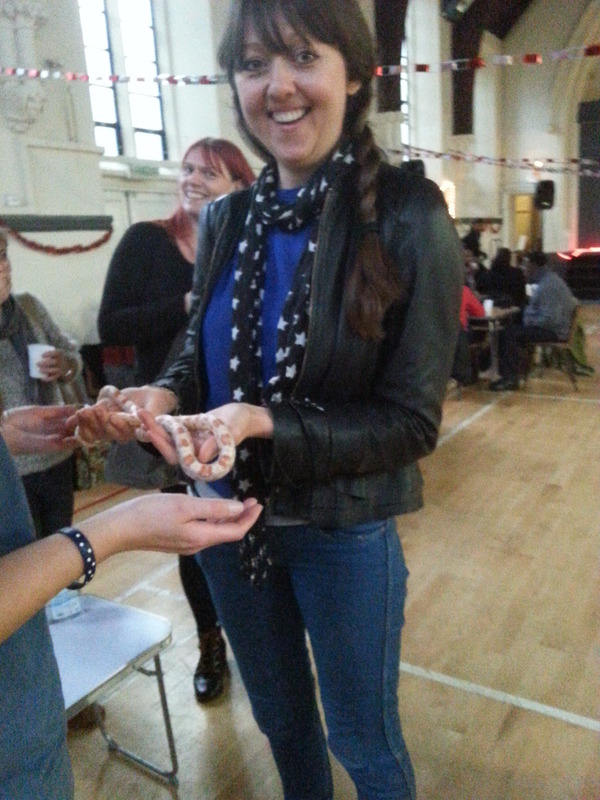 Charlotte was glad to see me and she was also greeting many others who attended the Xmas party. More from Charlotte later. Eventually after a little chat I entered the hall to see that they were almost ready to start the Xmas party and celebrations. 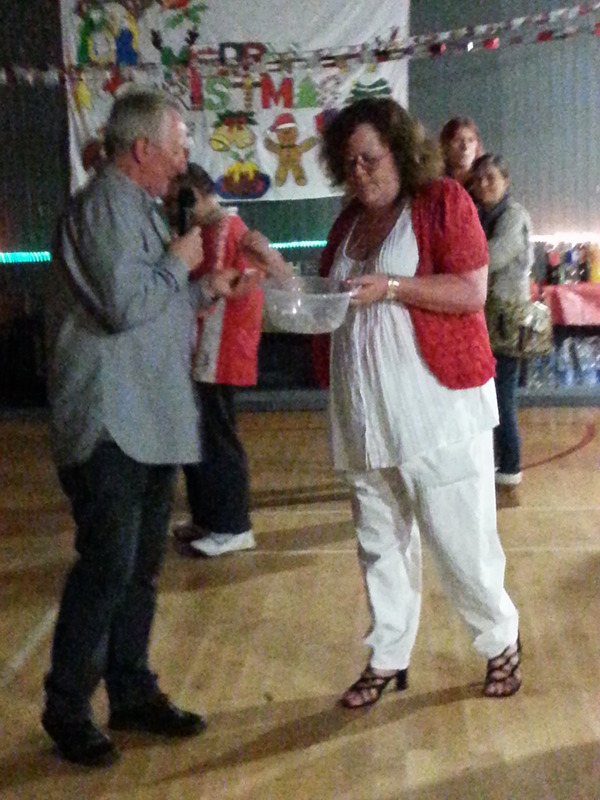 It was great that the LMHC, its supporters and clients took the time for an Xmas celebration. Going back to the party, the first thing that caught my eye was the lovely Xmas picture up on the wall, which I had to take a picture of. I was reminded by Ingrid (Scheme Manager for a mental health residential project) that someone with lived experience had produced that picture. Ingrid also introduced me to others at the party and the DJ also popped in to say Hi, but eventually I could not help notice some stalls at the back of the hall. I was intrigued as to what was in those boxes. A lovely lady hosting the stall came up to me and explained that some animals were in the box and that she worked for “Animals for Therapy”. Here they provide companionship service, respite care, self-esteem for those suffering mental ill health. 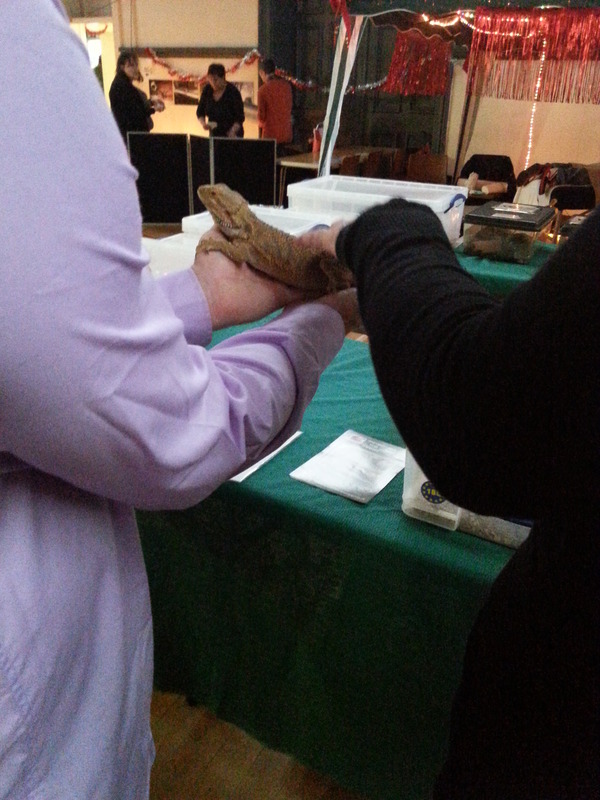 The lady took a few animals out of the box to show me and although I was a little nervous at first, my curiosity eventually got the better of me, I began to be more drawn to the different types of animals and began to hover around different boxes to see what else was on display. The staff at the stall were friendly, professional and quite chatty. Soon I started to see others at the Xmas party come up and stroke or touch some of the animals, which all were very behaved and I could almost see the warmth of affection and connection between the pet and the person touching the animal. 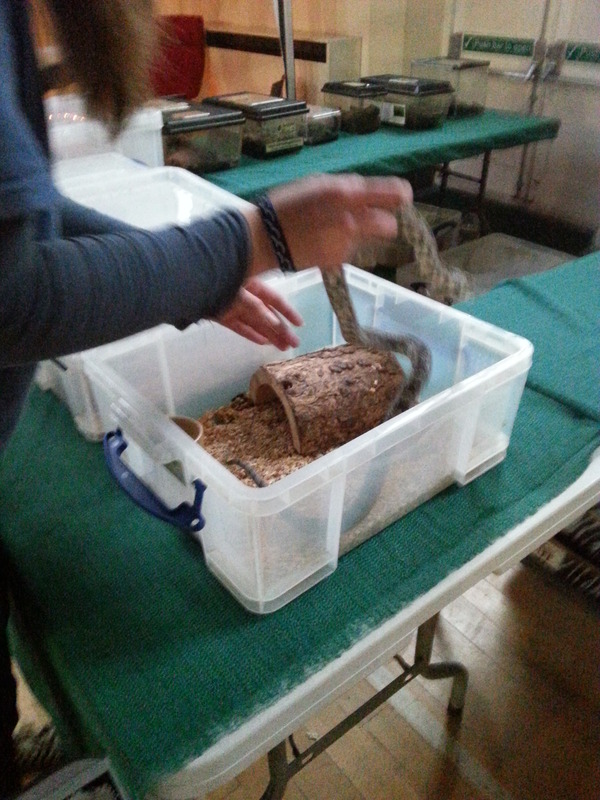 This is when Charlotte stopped by to say hello again and she also picked up one of the snakes to handle it. 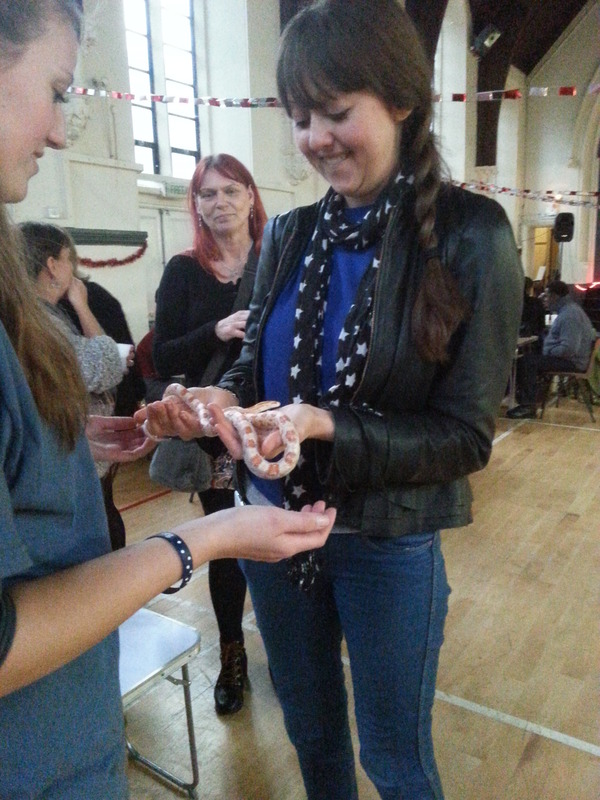 I was amazed to see how happy Charlotte was in handling the snake when I thought she might flinch from it, but this goes to show how different things are when you try to form a connection. 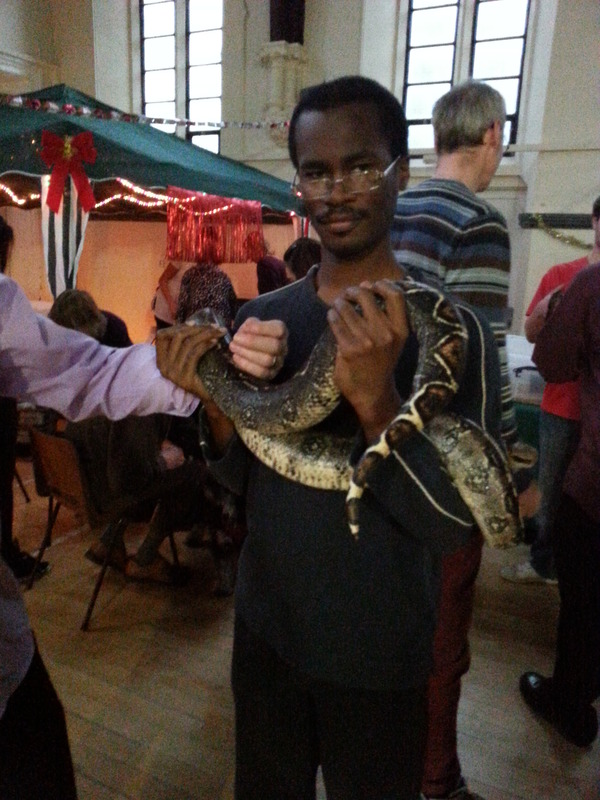 I also took a snake to handle and see how it felt. The snake felt very smooth and light. At the LMHC Xmas party I got listening to some nice lively music from the DJ and eventually noticed quite a few people were dancing happily, almost forgetting their problems or worries and just enjoying the moment. I noticed a few of my friends arrive and I popped over to say hello and also met a fellow mental health trust governor who also does work in helping those with lived experiences seek employment. Some of my friends went over to experience the amazing connection of animal therapy. 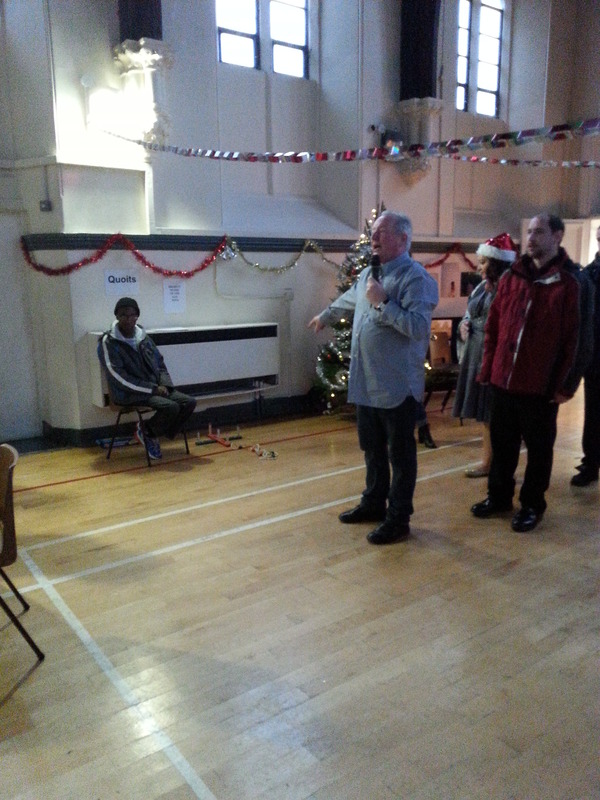 This was when John O’Sullivan the CEO of a charity and housing association called Quo Vadis Trust introduced the guests to the activities at the Xmas party. I then took the opportunity to experience handling a bigger snake, which was a constrictor and this one obviously felt more heavy, but felt smooth and I could feel how slowly the snake moved, I think the pet snake was called “Bea”, I am not sure, but I was so glad to have the experience, I mean I know some animals are not for everyone, but none at the stall were harmful. Soon I played some games, which were free to play and I began to feel as if I was part of the community, since I was having a great time. I felt wanted and noticed how people came together as a community who have been through tough times amazed me. 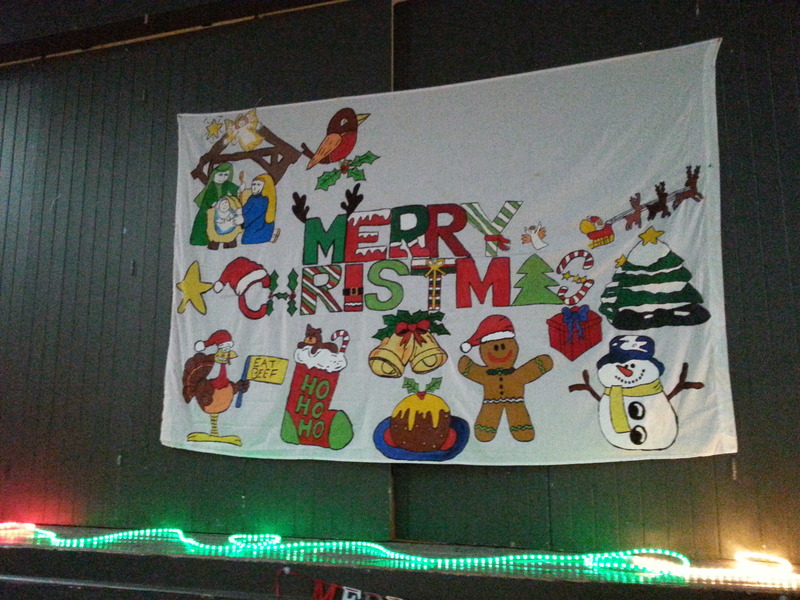 We all contributed in the spirit of being together and either relaxing or doing activities. I felt my label as a carer was melting away as I really enjoying myself, although it was not always easy. 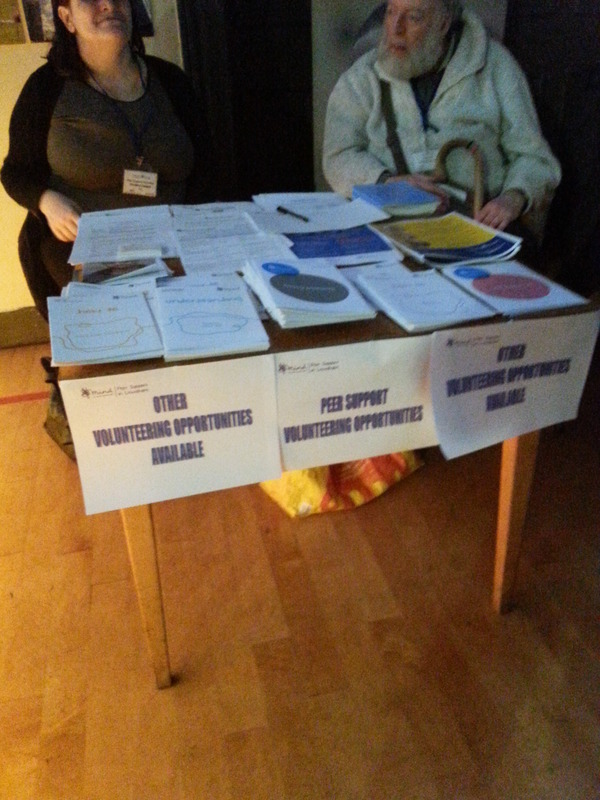 Next was to check out some more of the stalls and I found out that Bromley and Lewisham Mind had an information stall hosting a large array of useful information about mental health and Peer support group dates for 2015. 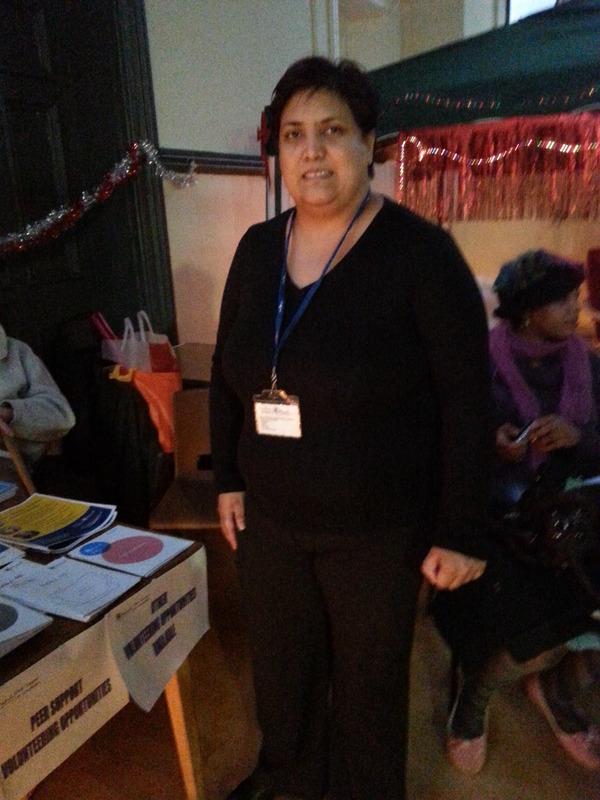 I spoke to Simta from Bromley and Lewisham Mind about the different group activities for 2015 being walking, reflective writing, mindfulness and creative arts. 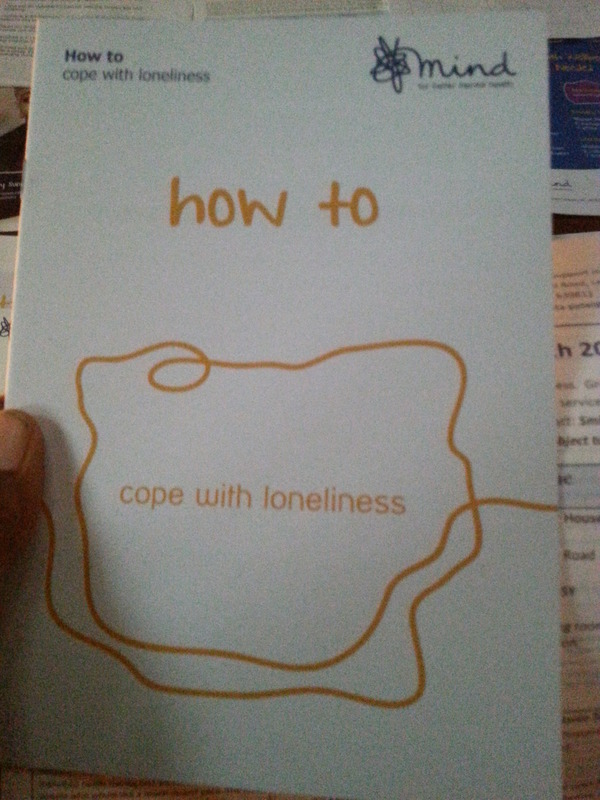 Being that it was Xmas one booklet from the stall took my attention, which was title “How to cope with loneliness”. Now I know I was having a good time at the Xmas party, I know also that others were enjoying the festivities here and elsewhere, but I also know many suffering mental ill health are isolated, many suffer social exclusion, suffer mental stigma and are too afraid or worried to go out. Its important that not only those suffering mental ill health are giving information on how to cope, but also those who do not understand loneliness also have a read. Xmas can unfortunately be one of the worst times for those left behind, because there is always talk about time with families and friends and this can upset those who are lonely. We should spare at least some thought for them. Going back to the LMHC Xmas party, after being served free Xmas dinner and chatting to some others, we had a raffle, but being a carer I felt it was time to head back although I did try and invite them to come along. I really enjoyed the event and It was a shame I could not record the other activities there since I did not spend as long as I would have liked. 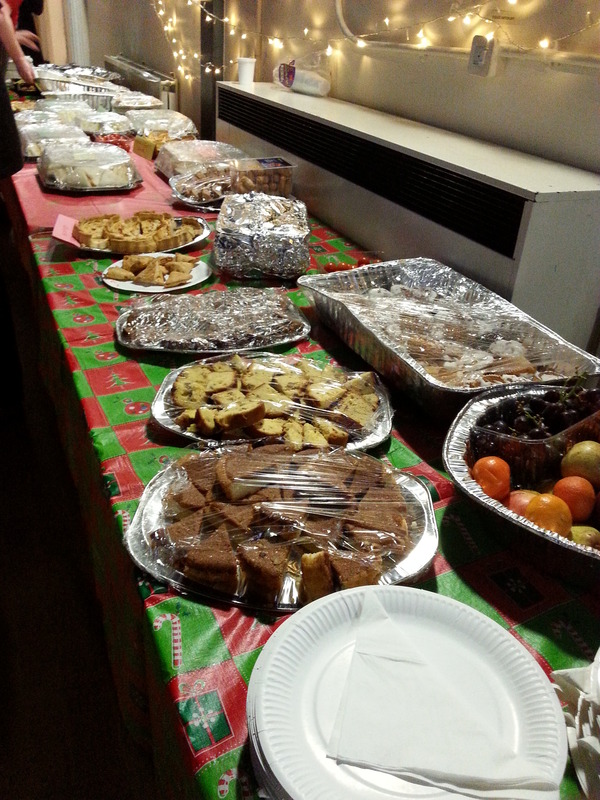 I thank the Lewisham Mental Health Connection team for spending such a massive effort to get the xmas party set up. There will be more projects, discussions and opportunities coming from the LMHC off one of their social media groups which is on meetup.com. I cant wait to see what the journey is like for 2015. 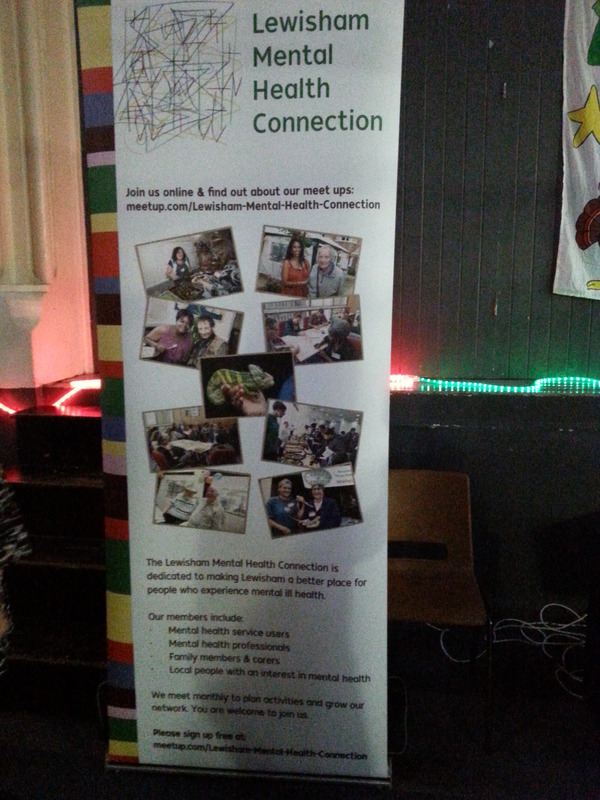 Check out Lewisham Mental Health Connection online. 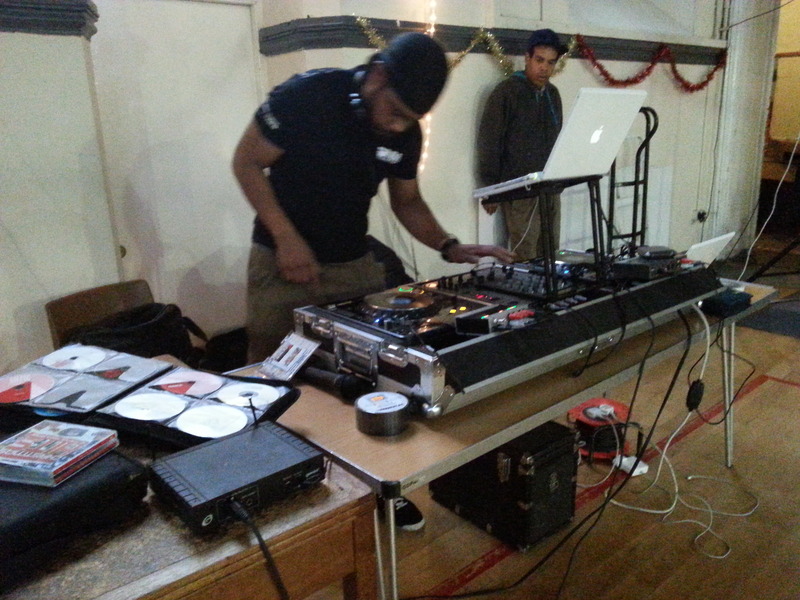 This entry was posted in Event reviews and tagged community, lewisham mental health connection, mental health, pet therapy, xmas, xmas party on December 20, 2014 by mmckenz11.